Ready to create your very own outdoor entertainment space? 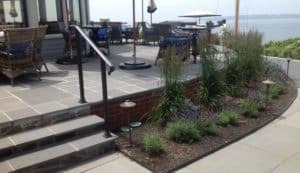 Whether is an outdoor kitchen, patio sitting area, or pool side oasis STONEYARD® has the hardscape materials and landscaping stone to get the job done. Patio pavers, coping, fire pit kits, cobblestones, flagging, and more are available and ready to finish your outdoor entertainment space. Explore each of these natural options to see which fit your plans and design.